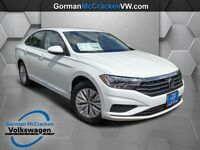 The 2019 Volkswagen Jetta in Longview TX has been modified and revised for the new model year. 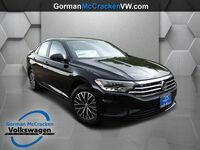 The latest version of the car offers a longer wheelbase and a host of other updates for 2019. 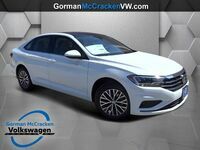 The newest version of the Volkswagen Jetta will be arriving at dealerships everywhere during the second quarter of 2018. 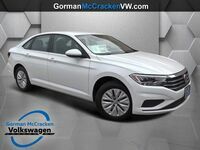 The new platform of the 2019 Jetta means that the car is over an inch longer than the outgoing car. 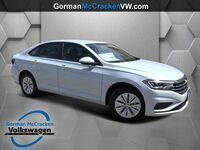 The car is also wider and taller than past Jetta models. The larger proportions lead to an increase in interior space. The outside of the car has been revised, with a sporty appearance and coupe-like profile. 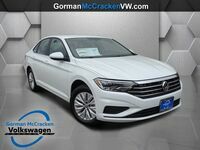 The 2019 Jetta is one of the models that will offer the new Volkswagen People First Warranty. This transferable bumper to bumper warranty provides coverage for up to six-years or 72,000 miles. 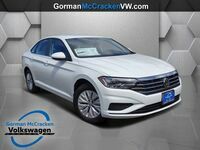 Under the hood of the 2019 Jetta will be Volkswagen’s turbocharged 1.4-liter four-cylinder engine. Performance numbers on this engine will check in at 147 horsepower and 184 pound-feet of torque. The turbocharged engine powering the new Jetta can be paired with two different engine options. 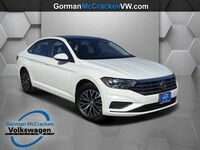 The 2019 Volkswagen Jetta offers either a six-speed manual transmission or an eight-speed automatic. 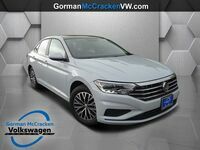 2019 Volkswagen Jetta models will be offered in five trim levels: S, SE, SEL, SEL Premium and R-Line. The car can be equipped with a variety of comfort, safety and technology features. Forward Collision Warning and Autonomous Emergency Braking (Front Assist). Adaptive Cruise Control (ACC), upgraded for use in stop and go traffic. High Beam Control (Light Assist). Lane Departure Warning (Lane Assist).